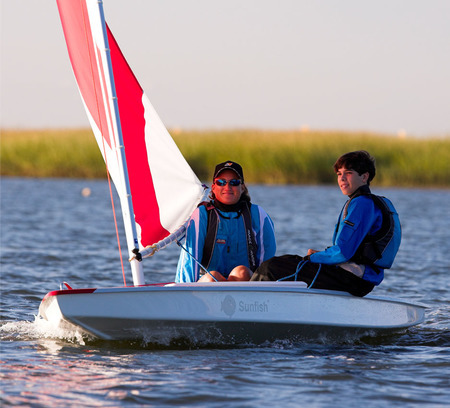 LaserPerformance Sunfish: Sailing's Most Popular Dinghy. Ever. Designed in 1952, the Sunfish is a miracle of simplicity and function. The sail plan requires just two lines and the boat can be set up and sailing in minutes. 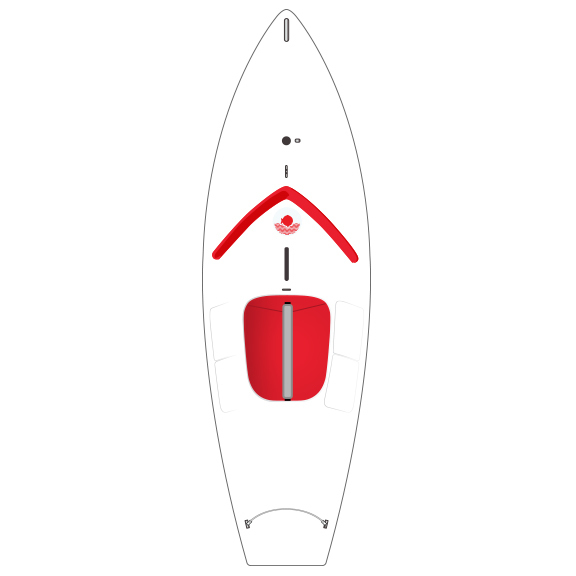 The patented kick-up rudder system allows for easier shallow water launching and retrieval. The Sunfish hull is light weight, car-toppable and and will provide years of virtually maintenance free enjoyment. The Sunfish combines performance, stability, and durability in a package that appeals to beginners and experts alike. If it's racing you crave, the International Sunfish Class sanctions hundreds of events each year. Add the local and regional events to that list and you can stay active racing your Sunfish. The class will keep you posted with information and performance tips in it's quarterly magazine, Windward Leg. The elegant simplicity, performance, and intelligent economy of the Sunfish are unmatched. Fortune magazine called it "one of the 25 best designed products in America." Young or old, short or tall, beginners or world champions, the Sunfish will provide you with years of fun. You will find Sunfish in resorts around the world and in your own backyard. 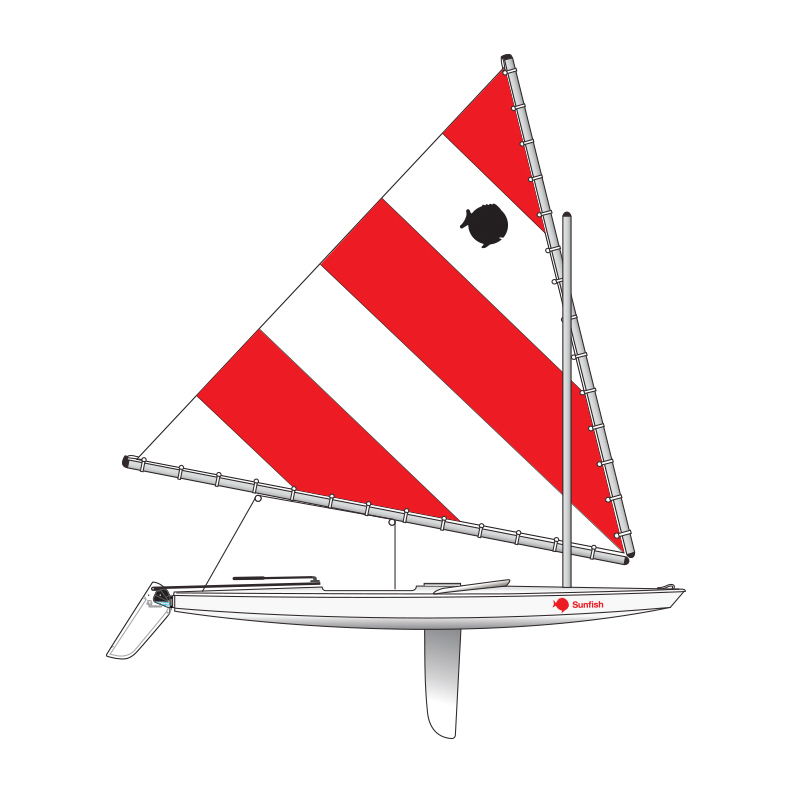 The Sunfish is available in two models with a wide variety of sail choices.